Know a small business that could benefit from hiring a summer student? Let them know the Columbia Basin Trust has wage subsidies available in their Summer Works Program. 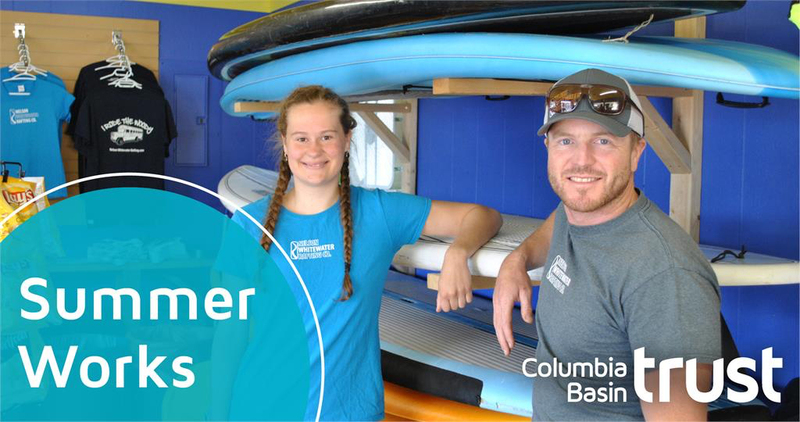 Columbia Basin Trust’s Summer Works program helps small businesses meet their seasonal employment needs and helps students gain meaningful work experience. This valuable program provides wage subsidies to hire full-time high school and post-secondary students for entry-level and career-related jobs over the summer. By supporting the creation of up to 150 positions across the Basin, Summer Works also helps students find employment and gain experience. Review the program guide to see if your business qualifies for a wage subsidy. The program fills quickly so get ready by filling out the application worksheet now at ourtrust.org/summerworks. Application Deadline: February 14, 2019 1:00 p.m. PT/2:00 p.m. MT.